Are there/can there be events that are truly random? First of all we need to ask ourselves what we understand by randomness. As with many other properties, it is much easier to say what randomness is not than to say what it is. “If a series of events or other assortment exhibits a definite pattern, then it is not random” ─ I think practically everyone would agree to this. This may be called the lack of pattern definition of randomness. It is the broadest and also the vaguest definition but at the end of the day it is what we always seem to come back to. Stephen Wolfram, the inventor of the software programme Mathematica and a life-long ‘randomness student’ uses the ‘lack of pattern’ definition. He writes, “When one says that something seems random, what one usually means is that one cannot see any regularities in it” (Wolfram, A New Kind of Science p. 316). The weakness of this definition, of course, is that it offers no guidance on how to distinguish between ephemeral patterns and lasting ones (except to keep on looking) and some people have questioned whether the very concept of ‘pattern’ has any clear meaning. For this reason, the ‘lack of pattern’ definition is little used in science and mathematics, at least explicitly. The second definition of randomness is the unpredictable definition and it follows on from the first since if a sequence exhibits patterning we can usually tell how it is going to continue, at least in principle. The trouble with this definition is that it has nothing to say about why such and such an event is unpredictable, whether it is unpredictable simply because we don’t have the necessary information or for some more basic reason. Practically speaking, this may not make a lot of difference in the short run but, as far as I am concerned, the difference is not at all academic since it raises profound issues about the nature of physical reality and where we stand on this issue can lead to very different life-styles and life choices. The third definition of randomness, the frequency definition goes something like this. If, given a well-known and well-defined set-up, a particular outcome, or set of outcomes, in the long run crops up just as frequently (or just as infrequently for that matter) as any other feasible outcome, we class this outcome as ‘random’ (Note 1). A six coming up when I throw a dice is a typical example of a ‘random event’ in the frequency sense. Even though any particular throw is perfectly determinate physically, over thousands or millions of throws, a six would come up no more and no less than any of the other possible outcomes, or would deviate from this ‘expected value’ by a very small amount indeed. So at any rate it is claimed and, as far as I know, experiment fully supports this claim. It is the frequency definition that is usually employed in mathematics and mathematicians are typically always on the look-out for persistent deviations from what might be expected in terms of frequency. The presence or absence of some numerical or geometrical feature without any obvious reason suggests that there is, or at any rate might be, some hidden principle at work (Note 2). The trouble with the frequency definition is it is pretty well useless in the real world since a vast number of instances is required to ‘prove’ that an event is random or not ─ in principle an ‘infinite’ number ─ and when confronted with messy real life situations we have neither the time nor the capability to carry out extensive trials. What generally happens is that, if we have no information to the contrary, we assume that a particular outcome is ‘just as likely’ as another one and proceed from there. The justification for such an assumption is post hoc : it may or may not ‘prove’ to be a sound assumption and the ‘proof’ involved has nothing to do with logic, only with the facts of the matter, facts that originally we do not and usually cannot know. The fourth and least popular definition of randomness is the causality definition. For me, ‘randomness’ has to do with causality ─ or rather the lack of it. If an event is brought about by another event, it may be unexpected but it is not random. Not being a snooker player I wouldn’t bet too much money on exactly what is going to happen when one ball slams full pelt into the pack. But, at least according to Newtonian Mechanics, once the ball has left the cue, whatever does happen “was bound to happen” and that is that. The fact that the outcome is almost certainly unpredictable in all its finest details even for a powerful computer is irrelevant. The weakness of this definition is that there is no foolproof way to test the presence or absence of causality: we can at best only infer it and we might be mistaken. A good deal of practical science is taken up with distinguishing between spurious and genuine cases of causality and, to make matters worse, philosophers such as Hume and Wittgenstein go so far as to question whether this intangible ‘something’ we call causality is a feature of the real world at all. Ultimately, all that can be said in answer to such systematic sceptics is that belief in causality is a psychological necessity and that it is hard to see how we could have any science or reliable knowledge at all without bringing causality into the picture either explicitly or implicitly. I am temperamentally so much a believer in causality that I view it as a force, indeed as the most basic force of all since if it stopped operating in the way we expect life as we know it would be well-nigh impossible. For we could not be sure of the consequences of even the most ordinary actions; indeed if we could in some way voluntarily disturb the way in which causes and effects get associated, we could reduce an enemy state to helplessness much more rapidly and effectively than by unleashing a nuclear bomb. I did actually, only half-facetiously, suggest that the Pentagon would be advised to do some research into the matter ─ and quite possibly they already have done. Science has not paid enough attention to causality, it tends either to take its ‘normal’ operation for granted or to dispense with it altogether by invoking the ‘Uncertainty Principle’ when this is convenient. No one as far as I know has suggested there may be degrees of causality or that there could be an unequal distribution of causality amongst events. Is randomness in the ‘absence of causality’ sense in fact possible? Not so long ago it was ‘scientifically correct’ to believe in total determinism and Laplace, the French 19th century mathematician, famously claimed that if we knew the current state of the universe with enough precision we could predict its entire future evolution (Note 3). There is clearly no place for inherent randomness in this perspective, only inadequate information. Laplace’s view is no longer de rigueur in science largely because of Quantum Mechanics and Chaos Theory. But the difference between the two world-views has been greatly exaggerated. What we get in Quantum Mechanics (and other branches of science not necessarily limited to the world of the very small) is generally the replacement of individual determinism by so-called statistical determinism. It is, for example, said to be the case that a certain proportion of the atoms in a radio-active substance will decay within a specified time, but which particular atom out of the (usually very large) number in the sample actually will decay is classed as ‘random’. And in saying this, physics textbooks do not usually mean that such an event is in practice unpredictable but genuinely unknowable, thus indeterminate. But what exactly is it that is ‘random’? Not the micro-events themselves (the radio-active decay of particular atoms) but only their order of occurrence. Within a specified time limit half, or three quarters or some other proportion of the atoms in the sample, will have decayed and if you are prepared to wait long enough the entire sample will decay. Thus, even though the next event in the sequence is not only unpredictable for practical reasons but actually indeterminate, the eventual outcome of the entire sample is completely determined and, not only that, completely predictable ! Normally, if one event follows another we assume, usually but not always with good reason, that this prior event ‘caused’ the subsequent event, or at least had something to do with its occurrence. And even if we cannot specify the particular event that causes such and such an outcome, we generally assume that there is such an event. But in the case of this particular class of events, the decay of radio-active atoms, no single event has, as I prefer to put it, any ‘dominance’ over any other. Nonetheless, every atom will eventually decay : they have no more choice in the matter than Newton’s billiard balls. To me, the only way the notion of ‘overall determinism without individual determinism’ makes any sense at all is by supposing that there is some sort of a schema which dictates the ultimate outcome but which leaves the exact order of events unspecified. This is an entirely Platonic conception since it presupposes an eventual configuration that has, during the time decay is going on, no physical existence whatsoever and can even be prevented from manifesting itself by my forcibly intervening and disrupting the entire procedure ! Yet the supposed schema must be considered in some sense ‘real’ for the very good reason that it has bona fide observable physical effects which the vast majority of imaginary shapes and forms certainly do not have (Note 4). An example of something similar can be seen in the case of the development an old-fashioned (non-digital) picture taken in such faint light that the lens only allows one photon to get through at a time. “The development process is a chemical amplification of an initial atomic event…. If a photograph is taken with exceedingly feeble light, one can verify that the image is built up by individual photons arriving independently and, it would seem at first, almost randomly distributed in position” (French & Taylor, An Introduction to Quantum Physics p. 88-9) This case is slightly different from that of radio-active decay since the photograph has already been taken. But the order of events leading up to the final pattern is arbitrary and, as I understand it, will be different on different occasions. It is almost as if because the final configuration is fixed, the order of events is ‘allowed’ to be random. Almost everyone who addresses the subject of randomness somehow manages to dodge the central question, the only question that really matters as far as I am concerned, which is : Are unpredictable events merely unpredictable because we lack the necessary information or are they inherently indeterminate? Taleb is the contemporary thinker responsible more than anyone else for opening up Pandora’s Box of Randomness, so I looked back at his books to see what his stance on the uncertainty/indeterminacy issue was. His deep-rooted conviction that the future is unpredictable and his obstinacy in sticking to his guns against the experts would seem to be driving him in the indeterminate direction but at the last minute he backs off and retreats to the safer sceptical position of “we just don’t know”. As far as I am concerned randomness either is or is not an intrinsic property and difference between theory and practice doesn’t come into it. No doubt, from the viewpoint of an options trader, it doesn’t really matter whether market prices are ‘inherently unpredictable’ or ‘indeterminate’ since one still has to decide whether to buy or not. However, even from a strictly practical point of view, there is a difference and a big one between intrinsic and ‘effective’ randomness. Psychologically, human beings feel much easier working with positives than negatives as all the self-help books will tell you and it is even claimed that “the unconscious mind does not understand negatives”. At first sight ‘uncertainty’ and ‘indeterminacy’ appear to be equally negative but I would argue that they are not. If you decide that some outcome is ‘uncertain’ because we will never have the requisite information, you will most likely not think any more about the matter but in stead work out a strategy for coping with uncertainty ─ which is exactly what Taleb advocates and claims to have put into practice successfully in his career on the stock market. On the other hand, if one ends up by becoming convinced that certain events really are indeterminate, then this raises a lot of very serious questions. The concept of a truly random event, even more so a stream of them, is very odd indeed. One is at once reminded of the quip about random numbers being so “difficult to generate that we can’t afford to leave it to chance”. This is rather more than a weak joke. There is a market for ‘random numbers’ and very sophisticated methods are employed to generate them. The first ‘random number generators’ in computer software were based on negative feedback loops, the irritating ‘noise’ that modern digital systems are precisely designed to eliminate. Other lists are extracted from the expansion of π (which has been taken to over a billion digits) since mathematicians are convinced this expansion will never show any periodicity and indeed none has been found. Other lists are based on so-called linear congruences. But all this is in the highest degree paradoxical since these two last methods are based on specific procedures or algorithms and so the numbers that actually turn up are not in the least random by my definition. These numbers are random only by the frequency and lack of pattern definitions and as for predictability the situation is ambivalent. The next number in an arbitrary section of the expansion of π is completely unpredictable if all you have in front of you is a list of numbers but it is not only perfectly determinate but perfectly predictable if you happen to know the underlying algorithm. Stephen Wolfram makes a useful distinction between three basic kinds of randomness. Firstly, we have randomness which relies on the connection of a series of events to its environment. The example he gives is the rocking of a boat on a rough sea. Since the boat’s movements depend on the overall state of the ocean, its motions are certainly unpredictable for us because there are so many variables involved ─ but perhaps not for Laplace’s Supermind. Both these methods of generating randomness depend on something or someone from outside the sequence of events : in the first case the randomness in imported from the far larger and more complex system that is the ocean, and in the second case the randomness lies in the starting conditions which themselves derive from the environment or are deliberately set by the experimenter. In neither case is the randomness inherent in the system itself and so, for this reason, we can generally reduced the amount of randomness by, for example, securely tethering the boat to a larger vessel or by only allowing a small number of possible starting conditions. Wolfram’s third and final class of generators of randomness is, however, quite different since they are inherent random generators. The examples he gives are special types of cellular automaton. A cellular automaton consists essentially of a ‘seed’, which can be a single cell, and a ‘rule’ which stipulates how a cell of a certain colour or shape is to evolve. In the simplest cases we just have two colours, black and white, and start with a single black or white cell. Most of the rules produce simple repetitive patterns as one would expect, others produce what looks like a mixture of ‘order’ and ‘chaos’, while a few show no semblance of repetitiveness or periodicity whatsoever. One of these, that Wolfram classes as Rule 30, has actually been employed in Random [Integer] which is part of Mathematica and so has proved its worth by contributing to the financial success of the programme and it has also, according to its inventor, passed all tests for randomness it has been subjected to. Why is this so remarkable? Because in this case there is absolutely no dependence on anything external to the particular sequence which is entirely defined by the (non-random) start point and by an extremely simple rule. The randomness, if such it is to be called, is thus ‘entirely self-generated’ : this is not production of randomness by interaction with other sets of events but is, if you like, randomness by parthenogenesis. Also, and more significantly, the author claims that it is this type of randomness that we find above all in nature (though the other two types are also present). This prompts me to introduce a classification of my own with respect to causality, or dominance as I prefer to call it. In a causal chain there is a forward flow of ‘dominance’ from one event to the next and, if one connection is missing, the event chain terminates (though perhaps giving rise to a different causal chain by ricochet). An obvious example is a set of dominoes where one knocks over the next but one domino is spaced out a bit more and so does not get toppled. A computer programme acts essentially in the same way : an initial act activates a sequential chain of events and terminates if the connection between two successive states is interrupted. 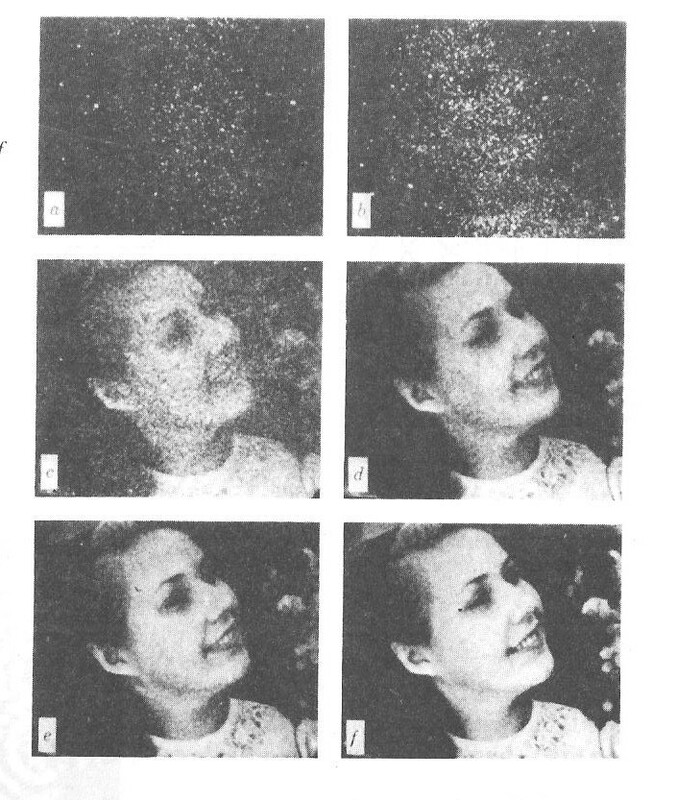 In the statistical or Platonic case such as the decay of a radio-active substance or the development of the photographic image, we have a sequence of events which is neither causally linked within itself nor linked to any actual set of events in the exterior like the state of the ocean. What dictates the behaviour of the atoms is seemingly the eventual configuration (the decay of half, a quarter or all of the atoms) or rather the image or anticipation of this eventual configuration (Note 6). So we have what might be called (1) forwards internal dominance; (2) sideways dominance; and (3) downwards dominance (from a Platonic event-schema). Where does the chaotic case fit in? It is an anomaly since although there is clear forwards internal dominance, it seems also to have a Platonic element also and thus to be a mixture of (1) and (3). Although the atomic theory goes back to the Greeks, Western science during the ‘classical’ era (16th to mid 19th century) took over certain key elements from Judaeo-Christianity, notably the idea of there being unalterable ‘laws of Nature’ and this notion has been retained even though modern science has dispensed with the lawgiver. An older theory, of which we find echoes in Genesis, views the ‘universe’ as passing from an original state of complete incoherence to the more or less ordered structure we experience today. In Greek and other mythologies the orderly cosmos emerges from an original kaos (from which our word ‘gas’ is derived) and the untamed forces of Nature are symbolized by the Titans and other monstrous creatures. These eventually give way to the Olympians who, signficantly, control the world from above and do not participate in terrestrial existence. But the Titans, the ancient enemies of the gods, are not destroyed since they are immortal, only held in check and there is the fear that at any moment they may break free. And there is perhaps also a hint that these forces of disruption (of randomness in effect) are necessary for the successful functioning of the universe. Ultimate Event Theory reverts to this earlier schema (though this was not my intention) since there are broadly three phases (1) a period of total randomness (2) a period of determinism and (3) a period when a certain degree of randomness is re-introduced. In Eventrics, the basic constituents of everything ─ everything physical at any rate ─ are what I call ‘ultimate events’ which are extremely brief and occupy a very small ‘space’ on the event Locality. I assume that originally all ultimate events are entirely random in the sense that they are disconnected from all other ultimate events and, partly for this reason, they disappear as soon as they happen and never recur. This is randomness in the causality sense but it implies the other senses as well. If all events are disconnected from each other, there can be no recognizable pattern and thus no means of predicting which event comes next. So where do these events come from and how is it they manage to come into being at all? They emerge from an ‘Event Source’ which we may call ‘the Origin’ and which I sometimes refer to as K0 (as opposed to the physical universe which is K1). It is an important facet of the theory that there is only one source for everything that can and does occur. If one wants to employ the computer analogy, the Origin either is itself, or contains within itself, a random event generator and, since there is nothing else with which the Origin can interact and it does not itself have any starting conditions (since it has always existed), this generator can only be what Wolfram calls an inherent randomness generator. It is not, then, order and coherence that is the ‘natural’ state but rather the reverse : incoherence and discontinuity is the ‘default position’ as it were (Note 7). Nonetheless, a few ultimate events eventually acquire ‘self-dominance’ which enables them to repeat indefinitely more or less identically and, in a few even rarer cases, some events manage to associate with other repeating events to form conglomerates. This process is permanent and is still going on everywhere in the universe and will continue to go on at least for some time (though eventually all event-chains will terminate and return the ‘universe’ to the nothingness from which it originally came). Thus, if you like, ‘matter’ is being created all the time though at an incredibly slow rate just as it is in Hoyle’s Steady State model (Note 7). Once ultimate events form conglomerates they cease to be random and are subject to ‘dominance’ from other sets of event and from previous occurrences of themselves. There will still, at this stage, be a certain unpredictability in the outcomes of these associations because determinism hs not yet ousted randomness completely. Later still, certain particular associations of events become stabilized and give rise to ‘event-schemas’. These ‘event-schemas’ are not themselves made up of ultimate events and are not situated in the normal event Locality I call K1 (roughly what we understand by the physical universe). They are situated in a concocted secondary ‘universe’ which did not exist previously and which can be called K2. The reader may baulk at this but the procedure is really no different from the distinction that is currently made between the actual physical behaviour of bodies which exemplify physical laws (whether deterministic or statistical) and the laws themselves which are not in any sense part of the physical world. Theoretical physicists routinely speculate about other possible universes where the ‘laws’, or more usually the constants, “are different”, thus implying that these laws, or principles, are in some sense independent of what actually goes on. The distinction is somewhat similar to the distinction between genotype and phenotype and, in the last resort, it is the genotype that matters, not the phenotype. Once certain event-schemas have been established, they are very difficult to modify : from now on they ‘dictate’ the behaviour of actual systems of events. There are thus already three quite different categories of events (1) those that emerge directly from the Origin and are strictly random; (2) those that are brought about by previously occurring physical events and (3) events that are dependent on event-schemas rather than on other individual events. So far, then, everything has become progressively more determined though evolving from an original state of randomness somewhat akin to the Greek kaos (which incidentally gave us the term ‘gas’) or the Hebrew tohu va-vohu, the original state when the Earth was “without form and void and darkness was upon the face of the deep”. The advent of intelligent beings introduces a new element since such beings can, or believe they can, impose their own will on events, but this issue will not be discussed here. Whether an outcome is the result of a deliberate act or the mere product of circumstances is an issue that vitally concerns juries but has no real bearing on the determinist/indeterminist dilemma. Macroscopic events are conglomerates of ultimate events and one might suppose that if the constituent events are completely determined, it follows that so are they. This is what contemporary reductionists actually believer, or at least preach and, within a materialist world-view, it is difficult to avoid some such conclusion. But, according to the Event Paradigm, physical reality is not a continuum but a complicated mosaic where in general blocks of events fit together neatly into interlocking causal chains and clusters. The engineering is, however, perhaps not quite faultless, and there are occasional mismatches and irregularities much as there are ‘errors’ in the transcription of DNA ─ indeed, genetic mutations are the most obvious example of the more general phenomenon of random ‘connecting errors’. And it is this possibility that allows for the reintroduction of randomness into an increasingly deterministic universe. Note 1 Charles Sanders Peirce, who inaugurated this particular definition, did not speak of ‘random events’ but restricted himself to discussing the much more tractable (but also much more academic) issue of taking a random sample. He defined this as one “taken according to a precept or method which, being applied over and over again indefinitely, would in the long run result in the drawing of any one of a set of instances as often as any other set of the same number”. Note 2 Take a simple example. One might at first sight think that a square number could end with any digit whatsoever just as a throw of a dice could produce any one of the possible six outcomes. But glancing casually through a list of smallish square numbers one notes that every one seems to be either a multiple of 5 like 25, one less than a multiple of 5 like 49 or one more than a multiple of 5 like 81. We could (1) dismiss this as a fluke, (2) simply take it as a fact of life and leave it at that or (3) suspect there is a hidden principle at work which is worth bringing into the light of day. In this particular case, it is not difficult to establish that the pattern is no accident and will repeat indefinitely. This is so because, in the language of congruences, the square of a number that is ±1 (mod 5) is 1 (mod 5) while the square of a number that is ±2 (mod 5) is either +1 or –1(mod 5). This covers all possibilities so we never get squares that are two units less or two units more than a multiple of five. Note 3 Laplace, a born survivor who lived through the French Revolution, the Napoleonic era and the Bourbon Restoration, was careful to restrict his professed belief in total determinism to physical (non-human) events. But clearly, there was no compelling reason to do this except the pragmatic one of keeping out of trouble with the authorities. More audacious thinkers such as Hobbes and La Mettrie, the author of the pamphlet L’Homme est une Machine, both found themselves obliged to go into exile during their lives and were vilified far and wide as ‘atheists’. Nineteenth century scientists and rationalists either avoided the topic as too contentious or, following Descartes, made a hard and fast distinction, between human beings who possessed free will and the rest of Nature whose behaviour was entirely reducible to the ‘laws of physics’ and thus entirely predictable, at any rate in theory. Note 4 The current notion of the ‘laws of physics’ is also, of course, an entirely Platonic conception since these laws are not in any sense physical entities and are only deducible by their presumed effects. Plato definitely struck gold with his notion of a transcendent reality of which the physical world is an imperfect copy since this is still the overriding paradigm in the mathematical sciences. If we did not have the yardstick of, for example, the behaviour of an ‘ideal gas’ (one that obeys Boyle’s Law exactly) we could hardly do any chemistry at all ─ but, in reality, as everyone knows, no gas actually does behave like this exactly hence the eminently Platonic term ‘ideal gas’. Where Plato went wrong as far as I am concerned was in visualizing his ‘Forms’ strictly in terms of the higher mathemartics of his day which was Euclidian geometry. I view them as ‘event-schemas’ since events, and not geometric shapes, are the building-blocks of reality in my theory. Plato was also mistaken in thinking these ‘Ideas’ were fixed once and for all. I believe that the majority ─ though perhaps not all ─ of the basic event-schemas which are operative in the physical universe were built up piecemeal, evolve over time and are periodically displaced by somewhat different event-schemas much as species are. Note 5. Because of the interest in chaos theory and the famous ‘butterfly effect’, some people seem to conclude that any slight perturbation is likely to have enormous consequences. If this really were the case, life would be intolerable. In ‘normal’ systems tinkering around with the starting conditions makes virtually no difference at all and every ‘run’, apart from maybe the first few events, ends up more or less the same. Each time you start your car in the morning it is in a different physical state from yesterday if only because of the ambient temperature. But, after perhaps some variation, provided the weather is not too extreme, the car’s behaviour settles down into the usual routine. If a working machine behaved ‘chaotically’ it would be useless since it could not be relied on to perform in the same way from one day to the next, even from one hour to the next. Note 6 Some people seem to be prepared to accept ‘backwards causation ‘, i.e. that a future event can somehow dictate what leads up to it, but I find this totally unacceptable. I deliberately exclude this possibility in the basic Axioms of Ultimate Event Theory by stating that “only an event that has occurrence on the Locality can have dominance over other events”. And the final configuration certainly does not have occurrence on the Locality ─ or at any rate the same part of the Locality as actual events ─ until it actually occurs! Note 7 Readers will maybe be shocked at there being no mention of the Big Bang. But although I certainly believe in the reality of the Big Bang, it does not at all follow from any of the fundamental assumptions of Ultimate Event Theory and it would be dishonest of me to pretend it did. When I first started thinking along these lines Hoyle’s conceptually attractive Steady State Theory was not entirely discredited though even then very much on the way out. The only way I can envisage the Big Bang is as a kind of cataclysmic ‘phase-transition’, presumably preceded by a long slow build up. If we accept the possibility of there being multiple universes, the Big Bang is not quite such a rare or shocking event after all : maybe when all is said and done it is a cosmic ‘storm in a teacup’.